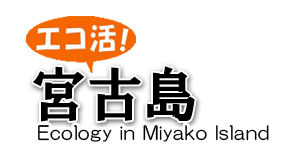 In this page, we talk about Miyako Island from geographical perspective. If you read this page,you will be able to picture the location and size of the island. Miyakojima city mainly consists of six islands; Ikema Island, Ohgami Island, Irabe Island, Shimoji Island, Kurima Island, and Miyako Island. 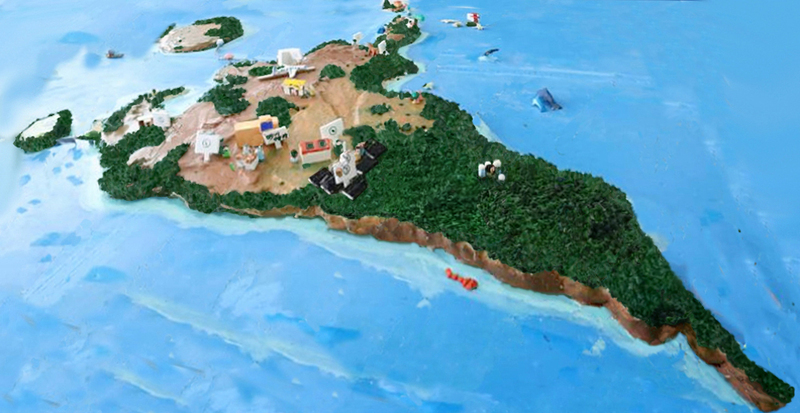 Airports are located in Miyako Island and Shimoji Island. Ikema Long Bridge connects Ikema Island and Miyako Island, and Kurima Long Bridge connects Irabe Island and Miyako Island. These bridges allow us to travel around the islands very easily by car, taxi, or public bus. To Ohgami Island, ferry is available four to five times a day. If you are interested in Tarama Island which is located in between Miyako Island and Ikegaki Island, it will take approx. 25 minutes by plane, or 2.5 hours by ship. Miyako Island is at 24-25 degrees north latitude, and 125-126 degrees east longitude. About 300km from Okinawa island and 2,000km from Tokyo. Miyako Island is the main island of Miyako islands, which is located west part of Okinawa prefecture. The total area-164 square kilometers (1/13 in main Okinawa island). The total area of Miyakojima City is 204.20 square kilometers. In comparison, Tokyo Disney Resort is about 100ha, which is equivalent of 1 square kilometers. That means Miyako Island is almost same size as 204 Tokyo Disney Resorts. 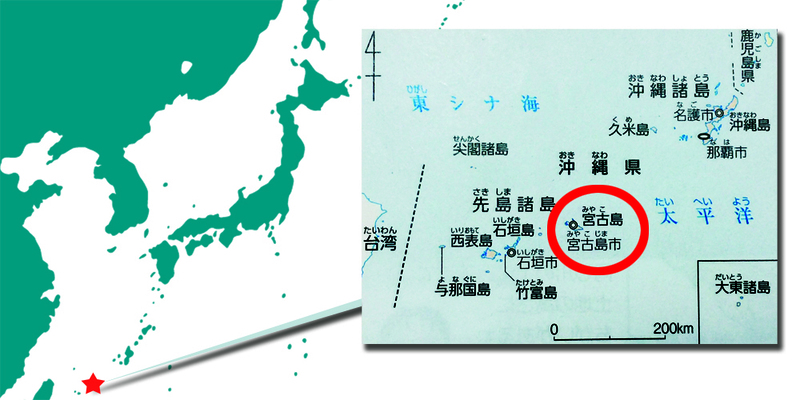 Miyako Island’s population is 54,519. It is the largest producer of sugar cane in Okinawa, which is utilized for bagasse power generation. Miyako Island is rich in nature, filled with greenery wherever you see. In such place, we are interested in knowing what kind of crops are growing in this island. Apple mango belongs to Irwin mango seed. Variety of breeding and branding activities have been going on to make it a specialty of this region. Geographically speaking, Miyako Island is suitable for growing fruits such as apple mango. Why? It’s because Miyako Island is made of coral reefs, which contain rich minerals. That is why the island’s fruits including apple mango are rich in sweetness. It is not the only reason why apple mango is suited for Miyako Island. Climate is another reason. Miyako Island is located in south so that the weather is warm throughout a year. Miyako Island makes the best use of its rich environment to grow crops. Do you know a plant called ramie? It can be found anywhere in the world, and belongs to Arabesque family. Miyako Joufu – a fine hand woven cloth which is made from the fibers of ramie plant is famous product of Miyako Island. Ramie has very thin fibers, so that Miyako Joufu is very thin as well. Due to its thinness, it requires slow weaving process or the thread is easily cut. Therefore, it takes approximately three months to make 1tan (enough to make one kimono). In addition, they have a special way of making patterns. While ordinary cloth is made by weaving dyed threads and non-dyed threads to make patterns, Miyako Joufu dyes each strand of thread with white and indigo blue and weaves them to make patterns. This is made by combining threads for weaving and whitening to dye the threads. As written above, apple mango and Miyako Joufu are not only sold in the market, also used as rewards of hometown tax payment system. Part of the tax revenue will be used to promote ecological activities. Miyakojima City is sparsely populated, and birthrate is declining and population is aging. Whereas we learned that it is a suitable location to grow sugar cane which requires vast land, and to raise Miyako horse. How do we improve issues around the low birthrate and aging population? How can we utilize the vast land of Miyako island? We think this will be the future problem.